Senator McCorquodale was born in Longville, Louisiana in 1934. He was born in the home of his aunt who delivered him. His father, who operated asawmill moved the family to Newton, Texas in 1946. He graduated from Newton High School in 1952. Responsibilities included negotiating contracts with hospitals throughout the state to provide medical care to Medi-Cal recipients. Represented a large portion of Santa Clara County (north, east and central San Jose, the Cities of Campbell, Milpitas and Morgan Hill) and all of Stanislaus County. Following reapportionment, represented all of Stanislaus, Merced, Madera, Tuolumne and Madera Counties as well as portions of San Joaquin and Fresno Counties. Authored legislation with far-reaching importance in a number of areas including revamping the state water plan, water reclamation, conservation, consumer protection, securities regulation, local governmental revenue, humane treatment of animals, and a number of others. Was a leader in legislation and advocacy on behalf of developmentally disabled. Served as a member of the Pacific Fisheries Legislative Task Force and in 1993 and 1994, chaired this group of representative of the five western United States. Also served on the Timber Legislative Task Force, made up of western timber-producing states. Member of the Executive Committee of the National Congress of State Legislators. Elected to three terms representing north and east San Jose, a portion of the City of Santa Clara, and the Cities of Milpitas and Sunnyvale. Twice served as the Chairperson. In addition to local leadership on parks and open space, air quality and the environment, transportation, justice, and health and human services, represented Santa Clara County on a number of regional and state-wide bodies. This included serving as a member and Chairperson of the nine-county Bay Area Air Quality Management District, and a member of the Bay Conservation and Development Commission, Association of Bay Area Governments, Metropolitan Transportation Commission, and Advisory Council of the State Office of Planning and Research. Elected to the Executive Committee of the County Supervisors Association of California and played a significant role in presenting county concerns to the state legislature, the media, and the federal government. Initiated the first Educationally Handicapped Program for the Evergreen School District and taught learning-disabled fourth, fifth and sixth-grade students. Following a City Charter change, was elected by a broad margin as the Citys first elected Mayor. Implemented initiatives in police and fire services, the process of selecting city franchises such as ambulance service and trash collection, and others. The youngest person ever elected to the Council, was a leader in library services and park development. While completing college, owned and operated a successful calf-raising operation. 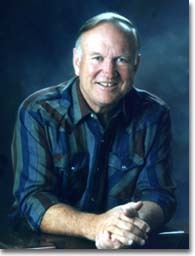 Mentioned in the national best-selling book written by Cleveland Amory, founder and president of Fund for Animals: The Cat and the Curmudgeon, "From then on the hero of the story was Dan McCorquodale, a remarkable California state senator and chairman of the Senates Natural Resources and Wildlife Committee. After holding a series of hearings on the subject, sponsored two major reports on California biodiversity.